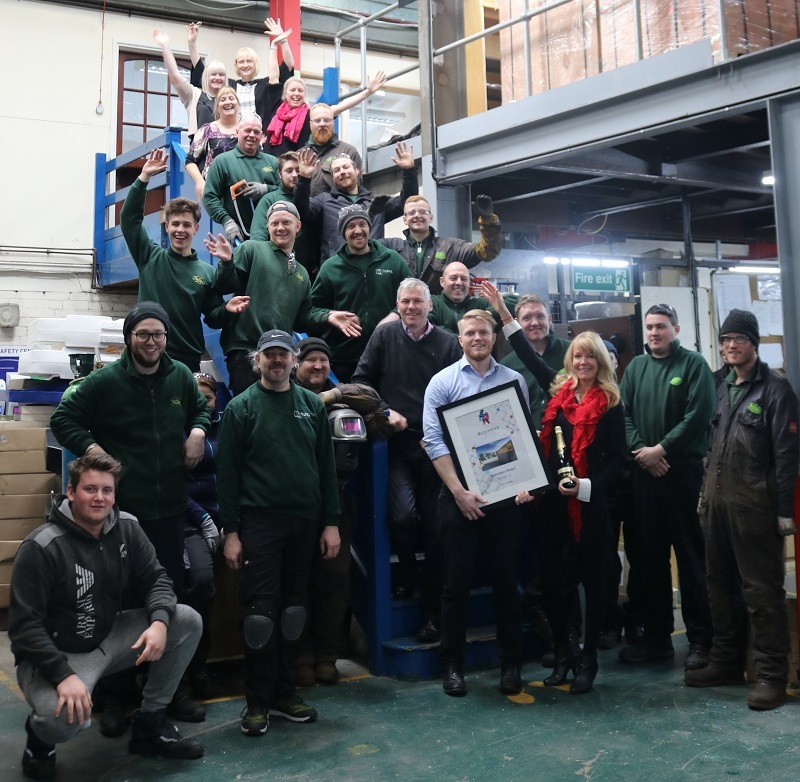 You are here > Home>Latest News>Tuffa Tanks Runner-Up in top Business Award! Tuffa Tanks Runner-Up in top Business Award! Last night saw this year’s prestigious Sentinel Business Awards ceremony at the historic King’s Hall in Stoke-on-Trent. At a glittering celebration dinner, Tuffa UK were runner-up in the Business Innovation Award category, sponsored by the Business Innovation Centre (BIC) Staffordshire. Michelin Factory Manager, Johnathon Wright addressed the assembled guests outlining Michelin’s commitment to the area. The audience were then introduced to BBC presenter, Janine Machin, originally from Stoke-on-Trent, who returned to her home town to host the evening. 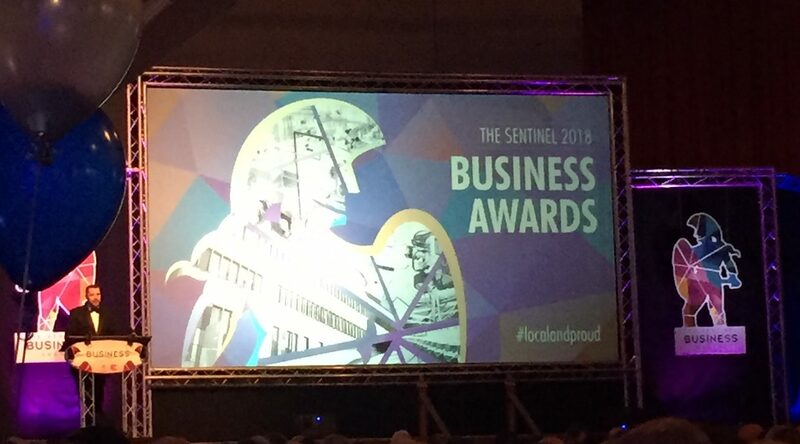 The Sentinel Business Awards were launched in 1995 as a celebration of the best of business in the region. At this year’s event, there were 13 award categories, including Business of the Year and a Lifetime Achievement Award. This year’s application was based on recent product developments including a unique patented fire protected material that is factory fitted to heating oil and diesel tanks. This enables the fire-protected tank to be located adjacent to a building or in a garage or outbuilding whilst still meeting all Local Authority Building Control (LABC) regulations. In addition, Tuffa Tanks has developed a new range of storage and dispensing tanks for the diesel additive, AdBlue®. This featured a new plastic weld production process that led to a contract with a national supplier of AdBlue® to UK garage forecourts. General Manager, James Shenton again: “Innovation is at the heart of our business and we are constantly looking for ways to improve our efficiency and products for the benefit of our customers. Going forward, we have new ranges of petrol tanks and plastic weld tanks ready to be rolled out this year. They will be followed by a newly designed and manufactured remote fuel management telemetry system that will be unique to Tuffa UK”, he added.